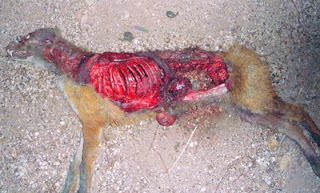 What eats foxes for gods sake..
And looks like it uses very sharp "equipment" to do it.? This was found within the last week by Wayne Knight, the "master"..seriously, the guy has probably forgotten more stuff about weird animals in Australia than we will ever learn. And he still knows knows a zillion times more things about weird stuff in Australia than anyone. 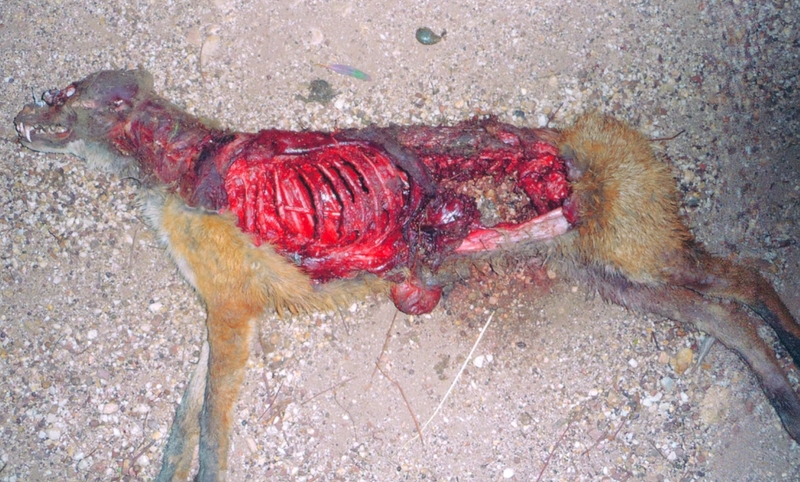 The fox was still warm..